This entry was posted on September 5, 2018 at 10:56 AM and is filed under the bad. You can follow any responses to this entry through the RSS 2.0 feed. You can leave a response, or trackback from your own site. Jeeves – you can be good when you want..why don’t you want? No point in editing some bitter facts of life. Guyz at your age should should be editing/reviewing ‘content’, not ‘language’ – Satyam/Munna. Your excuse of ‘liberalism’ is sadly no more than plain laziness when it comes to moderation/review of content. And no amount of essays or links you provide can change that. Glad to still have you with us ! Also the tagline that you kindly edited was mentioned as specific to the lead actor here. I was not generalizing genetics as such that anyone take offense! You really have any regards for these baap-beta fraudsters? If u edit my taunts to naveen, thats ok. But this is not acceptable. You probably can be acerbic without being coarse in language. The thing is that ante is upped with each comment and blog atmosphere is vitiated. Is this a still from Guzaarish? the poster is up now. I don’t get the posters of this film. I mean he’s so angry. And he’s a teacher no? maybe he thinks he deserves a Nobel? maybe he was not allowed to dance..
HR is definitely much better than lot of actors of his generation – can still pull-off a solo-hero BO hit any day. 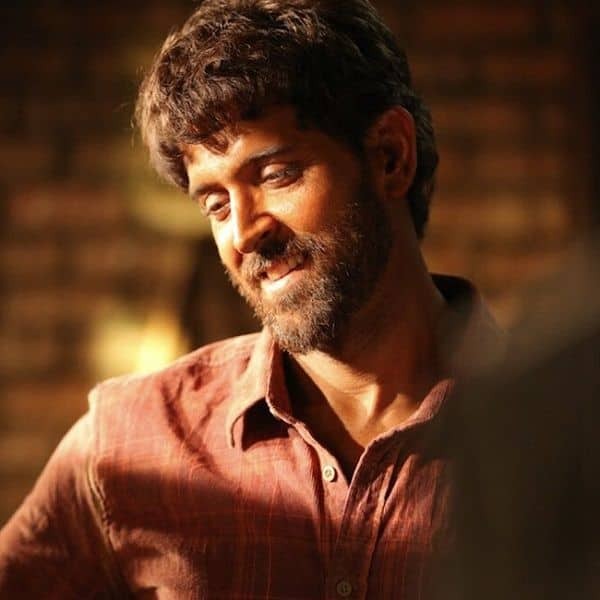 He has 3 hundred crores BO projects in hand now – Super30, Krish4 and YRF’s next with Tiger – good and sensible choices. His BO draw has never been in question, but he has one of the worst instances of the sort of self-loathing that characterizes so many (in the culture at large, but especially in B’wood): obsessed with H’woody genres, to the point where he and his dad seemed to think that even a super-hero film must be spoken about as if it were some kind of masterpiece; and completely unable to think outside of that sort of derivative mindset (Kites?! Really?!). He’s made such terrible choices that he has become irrelevant to any kind of box-office race, but neither has he left any memorable body of work. Part of the issue is that he emerged as a “perfect product”, and had nowhere to go/grow from there: i.e. everything that was excellent in Kaho Na Pyar Hai has never been bettered by him in nearly two decades (I remember predicting then that he would never be better than in that film; time has borne that one out), and if anything, when he tries “different” roles he seems weirder and weirder. I really can’t think of a greater squandering of box office strength in recent decades — he’s probably single-handedly responsible for extending the careers of the generation of stars who preceded him, each of whom should be buying him birthday drinks every year. He is a pathetic actor and plain delusional about himself – I think he has worst self-assessment skills among celebrities. Anand Kumar will be puking all over his place looking at this first look poster. Its not just Krrish, Roshans said the same thing during KMG release too regarding Spielberg-ish vfx and superlative acting! Its a pattern they keep repeating. On top of that, all the fraud numbers they keep reporting for every release. Its sickening and disgusting – not only for the audience but also within the industry itself. Anyways, I will anyday take Tiger over anything hritik or his dad has ever done in their sad lives. One note of disagreement: I actually liked Rakesh Roshan in those “smallish” films of the 70s, he was quite a likeable presence. But yeah at their respective bests I will take the music composing members of this family over the others!!! If Tiger were human one could prefer him to hrithik..
From 2.0 poster – The world is not only for humans! Remaking is not a problem per se (be it hollywood blockbusters or auteur films from other mature film industries that our so-called ‘indian auteurs’ frequently copy from), provided you have acquired the rights legally. Problem is making silly copies without understanding context and then claiming it is some sort of great work. That is delusional. This is a strong comment . Hard to disagree anywhere. I think he was quite good in the first half of ZNMD. The smugness, the arrogance that was part of his character worked as a great contrast to his otherwise (off-screen & on-screen) clean image. It reminded me of Tom Cruise in Magnolia. Of course, since it was a Hindi film, the character had to undergo a change of heart. And ruin everything that was interesting about the character. But for that brief period, he displayed some nice acting chops. For Q – why so harsh on HR? it is his dad who has been blowing all the trumpets….what he cud not do as an actor, he is imagining that HR has and will do it – to be fair to HR, he still has tremendous fan-base and has done reasonably well compared to Abhi, Vivek and all….and yeah! he is not a great actor – so what? ppl love him – Jeetendra, Shashi Kapoor, Rajendra Kumar did some amazing films but masses rejected them in those and then they switched to masala films – does any one remember many of thos craps – still they did hundreds of those films and gave BO hits – so look at HR with those glasses and despite his ill-health, stuttering problems, broken marriage and all those obstacles – man has come out strong and delivered good films – Guzaarish may not have worked at the BO but HR did his job very well and so did Aish! I personally like him and abhi at par and wanted abhi to take his acting career more seriously – but then….well happy for HR and not really happy for abhi for throwing away those opportunities which could have made him a bigger star than HR. But we must accept the fact that as of today – HR can still deliver solo-hero-hits. I never denied that last bit— indeed that theme, namely that HR has squandered BO success, runs throughout my comment — given where he was a few years after Kaho Na Pyaar Hai, he has wasted a position of strength. that is also true – but what is largely unknown to the world is his various illnesses and the surgeries etc. he has been going thru – life has not exactly been a bed of roses for that man – but one generally overlooks these things…..I find him an honest actor despite all his flaws and limitations and very hard working too – he had maintained that physique which makes him a commercially acceptable solo hero. He has managed to step out of his dad’s shadow no. of times as well. There lies his strength. You forgot to mention his greatest strength stripping at the slightest hint of the director … If health and surgery were really big deals, he would have kept himself away from dancing, body building and the steroids. i am in for this film – will watch it in theater – not expecting a masterpiece here. But can vouch for this that this will be a sleeper hit for HR – 150 is on board. Let us c how he has worked on acting part becoz this is i guess very few film (the only one after Guzaarish i guess) where he has stepped out of his “hero with chisseled physique” kind of image. That means the focus will be more on his acting skills….tough test! Good luck with ur high hopes from a hopeless gone case. Manmarziyan does not look anything special, but these 3 posters are plain bad. I liked Hrithik in that music video Dheere Dheere. yeah at a staggering 298 million views – it was well made! I doubt this movie does anything for Hrithik. More likely the dance off with Tiger will work wonders. Its titled Bizzarro vs Inhuman – bollywood’s subversion of hollywood’s alien disaster blockbusters! I have a problem with the tone – Ab Raja ka beta Raja nahin banega. This is not what Super 30 and Anand Kumar aims for. The current tagline is negative and provoking. The tone / tag line should be – Ab Gareeb ka beta bhi Raja banega. This is what Super 30 stands for. Anand Kumar’s main job in Super 30 batch is to trigger confidence among the kids from weaker and poor section that they are as good as kids from affluent/upper class society. Once the confidence is evoked, his job becomes easier as the kids are hard working. This is a positive vibe. Looks like the movie lacks this soul. How do you make an angry film on a teacher? It’s more like an Agneepath look. And he will probably have moves as a mathematician too! Even SLB didn’t compromise on HR dancing in Guzaarish even when he spent all his time on a wheelchair or lying about. The only flashback sequence he had was on stage showing his flexibility and making out skills..
I’m with Qalander on Hrithik. He’s never been as good as a star as he was in his debut KNPH. He’s probably had better acting performances but if someone asked me what’s all the fuss about on Hrithik, KNPH is where I’d point them too – it gives you the optimal aspects of his stardom. Everything afterwards in the main has been anticlimactic, except 2006 when he could have peaked again but blew it in subsequent years by trying to ‘Aamirsize’ himself. Can’t blame him for being picky but with choices like Kites, Bang Bang – the Hollywood strategy was pointless. He could have done films like ETT, Bodyguard instead of Salman, a better option potentially. Or instead of Bhansali’s Guzarrish he could have played some of the roles Ranveer landed. Just poor choices. Can’t fault too much the bad early career choices – that can happen to anyone but when you get your head straight with D2 and Krrish you have to be put to the sword with many choices and gaps that followed. Health is an excuse as Marcus pointed out he has done roles that are physically demanding & he still dances. His personal life – well he’s probably partly to blame. I agree completely with you and qalandar on this. But Saket is also right with the Tom Cruise reference. A certain kind of star can never just become the ‘actor’, irrespective of talents (and Hrithik isn’t Tom Cruise for me, even as an actor! ), he needs to keep playing the star. Even the different film must then somehow harness the signature in some sense. ZNMD perhaps does well on this score. With some of these other choices you’ve mentioned (guzaarish etc) Hrithik tries to play just the actor. And that’s a problem! Now of course (and to repeat a point) even the greatest start-actors still have to be stars on screen, before they act or not. But at least with this group you can fashion parts that require fine performances. Since Hrithik isn’t capable of this such an effort completely fails with him. He cannot even do what Cruise did in Born on the 4th of July (and Cruise is hardly the highest bar in terms of pure performance). Ultimately hrithik’s real issue might be that he just didn’t seem vulnerable enough after KNPH. He got instant stardom and in a huge way and the sincere, somewhat earnest persona (the first guy in KNPH) was lost quickly. To repeat myself, he is plain delusional. He got instant stardom and started hallucinating after KMG that he is a great actor. And his definition of great acting is his father’s acting in seventies films. And his papa’s definition of acting is hrithik in kmg or krrish. This baap-beta jodi are made for each other with all their silliness. A star who is a competent actor can explore non-commercial terrain now and then, without making a fool of himself. Not so with a poor actor like hritik. Cruise is quite competent, hritik is far from it. No comparison there. Take as much credit as you want yaar. And yet the man has reasonable no. of clean BO hits to his name which the likes of Abhi, Vivek etc. dont…. he has equal no. of flops also but what is imp. is that when his films work at the BO, they are clean hits. So paying public has not yet completely rejected him like they have done with Abhi, Vivek and other stars of his generation. Fiza, Guzaarish remain good performance based films. and again, with 3 safe projects in hand, HR is here to stay for another 10 years atleast. Lol this is like naveen claiming every akshay release is a hit. Mk or lakshya, ja, bb hardly recovered their investment. Agneepath trended much like gold. Znmd was at best a semi hit like talaash. Abhi has many more of such average bo films. Hritik has some 4-5 blockbusters to his name, and that is all. But so does sunny deol. not including KANK, HNY, HF3 as SRK/Akshay fans will claim those as hits but they were not. Will take Abhisheks movies over HR any day. Look who is talking. Jokers like to keep each other’s company. I think most of the movie goers will watch it for Hrithik and not for the nitty gritties of maths elementary or otherwise. I think they are concentrating more on drama more than anything else. I am waiting how this film turns out. Really dont care abt who shows up for another guzaarish and why. But from film-making POV the makers should try to be authentic to the subject, specially in a biopic. This biopic needed someone like Manoj Bajpayee or Aamir Khan. Or Madhavan. Even Pankaj Tripathy would have been a better choice. no Sanju, Manoj’s all outings as solo hero in last 3-4 years have been BO disasters. Aamir will take long to like any script – so this story needed a saleable star for all the commercial and non-commercial purposes. HR fits the bill here. Also I think they are covering 2 decades of his life – so it has a good scope as an actor here. Madhavan also hasn’t delivered any solo hits (all his hindi outings were major disasters – only he has worked with multi-hero films like 3i, RDB). Akki is over-doing all such things so audience need a diff. star – I back this choice. For a change, they could have considered Abhi also but then again BO wise it wud be a rather unsafe bet. HR looks angry and the color combination makes it look like he is in Agneepath 2. And whether they have played Holi and gulal in the second poster? Why the student faces look like that? The movie does have potential. There is great story to tell. All depends on how Vikas Bahl and HR have pulled the movie. A greater story in the same context is how by large the quota system has pulled down the IITs’s standards in general. Let mr anand kumar train his super 30 to crack iit in general quota, and then be hailed as a great idol. why do the students look like preparing for a physical activty like race, wrestling, dancing, fighting like boxing?